Journal of Zoonotic Diseases and Public Health focus on topics related to Zoonotic transmission, Zoonotic parasites, Zoonotic infections, Zoonotic hepatitis E, Zoonotic influenza, Zoonotic tuberculosis, Vector-borne zoonotic diseases, Zoonotic pathogens, Public health, School public health, Public health nutrition, Public health policy, Public health surveillance, Public awareness, Health services, Community health, environmental health and Disease control, etc. 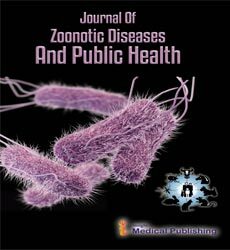 Journal of Zoonotic Diseases and Public Health publishes original research articles of outstanding medical importance. We will consider manuscripts of any length; we encourage the submission of both substantial full-length bodies of work and shorter manuscripts that report novel findings that might be based on a more limited range of experiments. Publishing with open access is not without costs. Journal of Zoonotic Diseases and Public Health defrays those costs from article-processing charges (APCs) payable by authors onces the manuscript has been accepted for publication. Journal of Zoonotic Diseases and Public Health does not have subscription charges for its research content, believing instead that immediate, world-wide, barrier-free, open access to the full text of research articles is in the best interests of the scientific community. The basic article processing fee or manuscript handling cost is as per the price mentioned above, on the other hand it may vary based on the extensive editing, colored effects, complex equations, extra elongation of no. of pages of the article, etc. The manuscript, as well as all subsequent revised versions, should be submitted in an unique file arranged as follow: Title page,Abstract (if required), Text, References, Tables, Figure legends, and Figures/Images. Please do not submit this material as supplementary files, therefore figures/images and tables must be inserted inside the manuscript file after the Reference list. Authors who publish in Journal of Zoonotic Diseases and Public Health can make their source data, reports of statistical analysis, as well as any other materials that they judge important, freely available to the scientific community. Source data. Journal of Zoonotic Diseases & Public Health strongly invites authors to supply the database of all cases and variables described in the article to be published together with the manuscript.